Last week I had the pleasant surprise of being asked to be part of One Project Closer's Community Blogs list. One Project Closer is a site run by four friends (two married couples, isn't that awesome?) that features tips, advice, products, reviews, how-tos, tools and amazing projects. 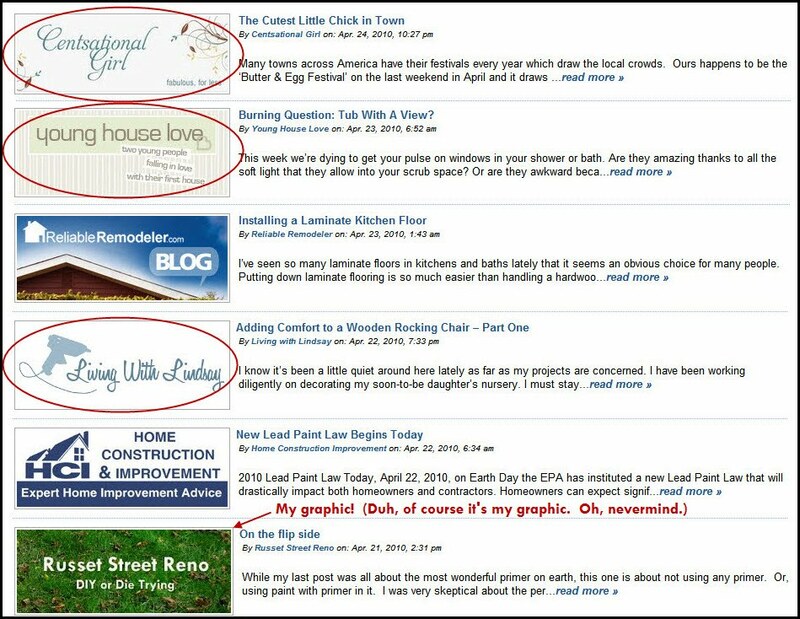 They have a large following and mostly link to blogs that contain impressive DIY projects. Me? Impressive? I'll take it! Not to mention all the other DIY and Home Improvement sites I have been perusing. I hope you will check out One Project Closer and their Community Blogs page to see all the great sites that they link to! PS - The community blogs are on their home page, but only the first four (newest) entries are visible, older entries can be seen here. That is awesome! Congrats! It makes sense that you were added--you take on big projects, you don't take short cuts (I believe you called it homeowner integrity, which I love), you always have the best after pictures and you have great tutorials (they're to the point, not too wordy and always witty!). I haven't really checked out their site but I will now! Congrats - that is so awesome! I will definitely check out the site! Look at you! Well deserved, lady! You've got a great site and we're really pumped that you've joined in the community section. And thanks for the great shout-out post! How exciting! Not surprising at all, though... You know, 'cause you're awesome and all. Hey, that's great. I'll definitely be checking that out. No way! You are such a celebrity! Between you and the Brick Cottage, I'm feeling like I know some famous peeps. Congrats, Sara! Your blog is really taking off!! Wow, your graphic right next to the likes of YHL and Centsational Girl! Fantastic!! good for you - you deserve it! Ditto to Ethan's comment. We're glad to know you!